Research Analyst Jobs in Integreon | Walkin Drive For BA, MA Freshers | 24th to 28th July 2017. Integreon is inviting applications from BA, B.Com, BBA, BMS, MA, MBA, M.Com students. Having Excellent verbal and written English language communication skills are required. Candidates can attend for the latest vacancies in Mumbai on given dates. Must possess Research oriented and lateral thinking mind set and Flexibility to work in rotational shifts including night shifts. It is mandatory for every employee. This page will give the clear information about Integreon Walkin Recruitment in Mumbai. In this article, we have updated the latest information about Integreon Careers. So candidates who are going to appear for Integreon walkin drive have to prepare Integreon Written Test Papers which may help you for getting the good score in the test. Job need candidates can start their preparation by checking out Integreon Model Papers which will be very useful for the applicants during their preparation. Contenders who perform well in the drive can only join in this post. Candidates who are interested and eligible can apply for Latest Freshers Jobs and for further details you can visit the official website. Deliver accurate, complete and relevant business and financial information from multiple databases to meet a wide variety of qualitative and quantitative data requests for US, UK, and Asia based clients (bankers and consultants). Conduct basic secondary and non-market research based on clients specifications with a high degree of accuracy, consistency and in a timely manner. Compile Public Information Books and create Company Profiles. Interact directly both by telephone and email with US, UK, and Asia based clients and counterparts. Provide support to operations during time-critical situations. Excellent verbal and written English language communication skills. Research-oriented and lateral-thinking mind set. Flexibility to work in rotational shifts including night shifts (Mandatory). Preferred candidates from Finance background. Candidates pursuing CFA and FRM can also apply. 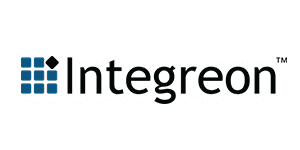 Integreon is the largest and highest impact provider of integrated legal, discovery, research, and business solutions to professionals. We work collaboratively with clients to address their specific support needs in areas such as e-discovery, legal process outsourcing, market and competitive intelligence, and other business services. Aspirants who had wished to work with Integreon can attend for latest job openings in Mumbai from 24th to 28th July 2017. While going to attend for interview candidates must carry proper Identity proof along with them. Sometimes security people will not allow into the company with out showing proper ID. Job seekers who will attend after the closing date or closing time they will not be interviewed. Aspirants must check all the required details to avoid further complications. Keep on checking All India Jobs for regular job updates like walkins and off campus drives.